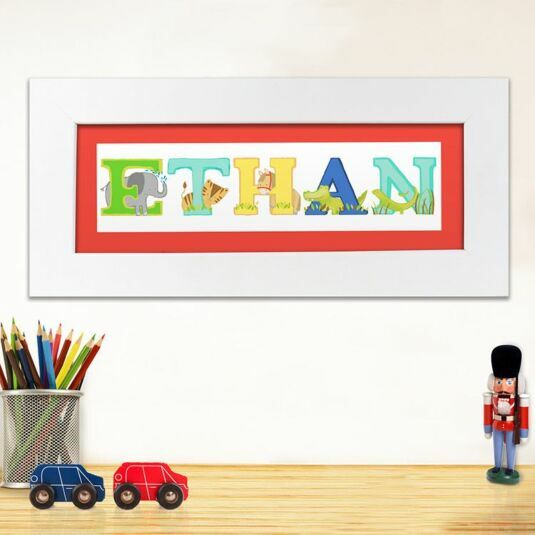 Make any child ROAR with excitement whenever they enter their bedroom or playroom with this personalised animal name frame, perfect as a gift for a new-born, as a christening gift or a birthday treat they will be sure to love. 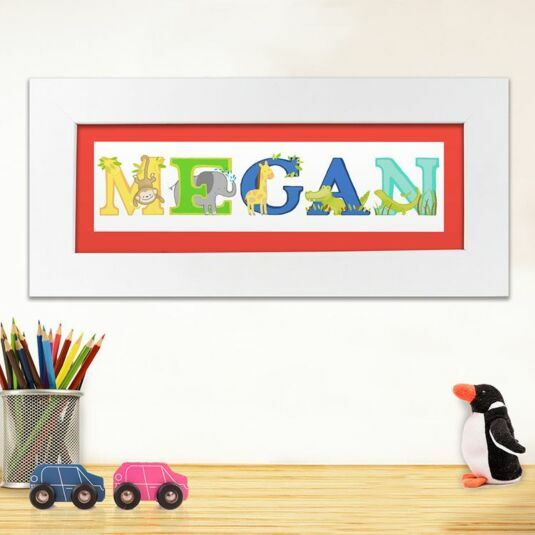 It features a colourful insert of your chosen name, with each letter corresponding to an animal in the alphabet! 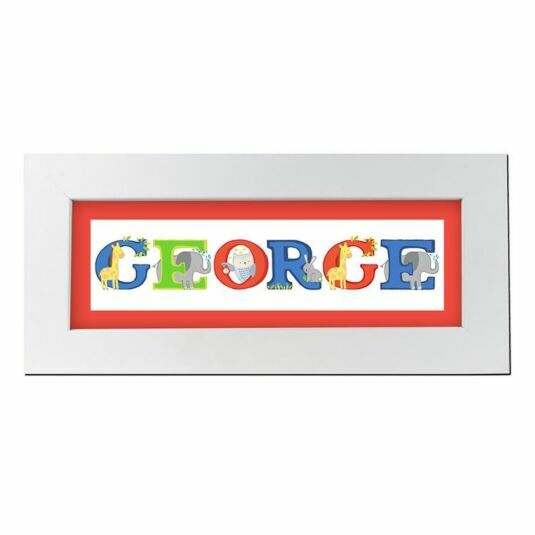 This stunning piece of children’s art is then mounted and framed inside a large white frame to easily hang on a door, wall or propped on a piece of furniture. Personalise with a name of a maximum 12 characters. All personalisation is will appear in UPPERCASE lettering.